Our Washington Nationals (formerly your Montreal Expos) defeated Mr. Anderson’s Chicago Cubs (again) last night to reduce their magic number to 21. The Nats need 20 more wins to clinch the National League East. 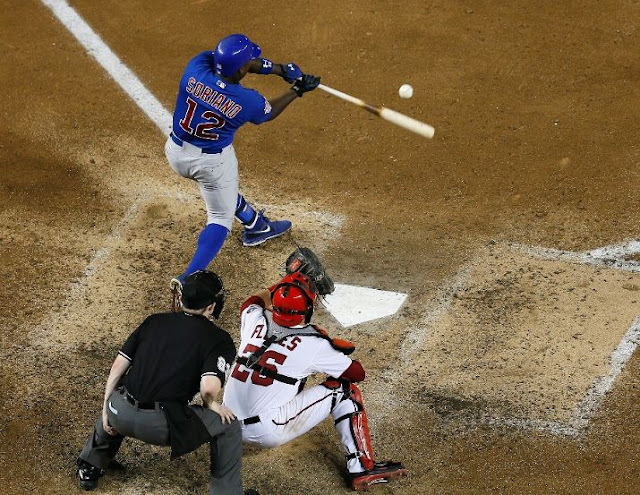 Here, Alfonso Soriano #12 of the Chicago Cubs hits a two RBI triple as umpire Mike Estabrook and catcher Jesus Flores #26 of the Washington Nationals look on during the sixth inning at Nationals Park on September 4, 2012 in Washington, DC. The two play again tonight and good seats are still available. 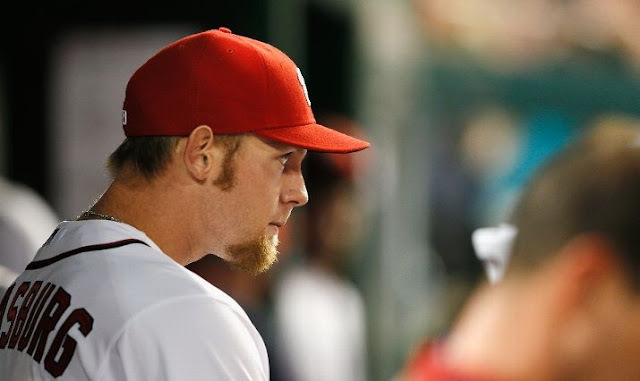 Get used to this...Stephen Strasburg watching.